After leveling off at 9,500 ft, the airline transport pilot switched the fuel selector from the right to the left fuel tank of the experimental, amateur-built airplane. He noticed a change in the sound of the engine, a decline in fuel flow, and a partial loss of engine power. He switched back to the right fuel tank and turned on the auxiliary fuel pump, but this did not correct the problem. 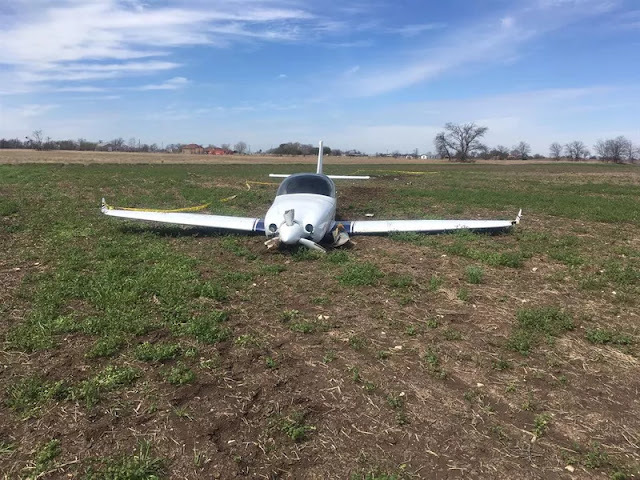 Realizing that he would not be able to glide to a nearby airport, the pilot made a forced landing in a plowed field. Postaccident examination of the engine revealed no discrepancies that would have precluded normal operation. The fuel selector was found separated just below the selector handle, and the selector valve was found in the 90-percent-closed position. The fuel selector assembly showed extensive wear. It is likely that the fuel selector separated with the valve in an intermediate position when the pilot changed the fuel selector handle position, which resulted in a partial loss of engine power due to fuel starvation as a result of the nearly closed fuel valve. The failure of the fuel selector valve in a nearly closed position, which resulted in a partial loss of engine power due to fuel starvation. 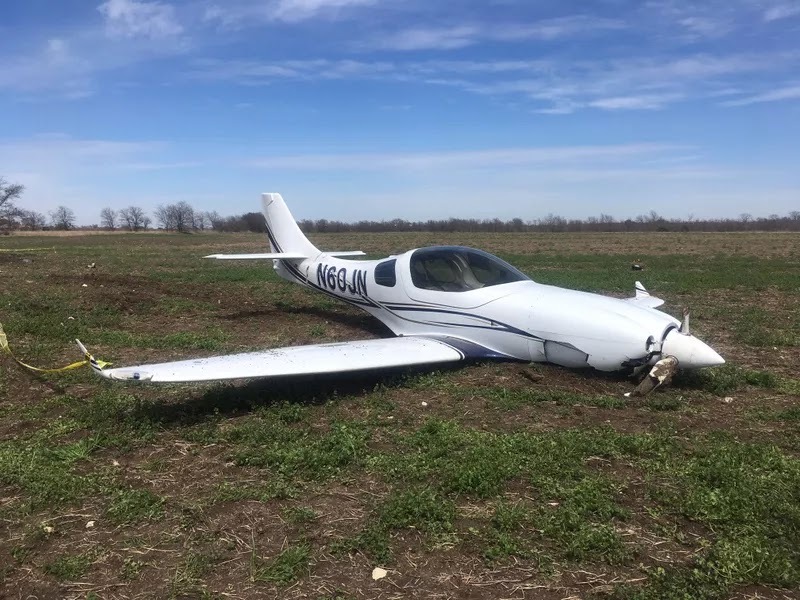 On March 8, 2018, about 1045 central standard daylight time, a Bereznak Lancair Legacy, N60JN, experienced a partial loss of engine power while in cruise flight at 9,500 feet, and the pilot made a forced landing in a plowed field one-mile northwest of Draughon-Miller Central Texas Regional Airport (TPL), Temple, Texas. 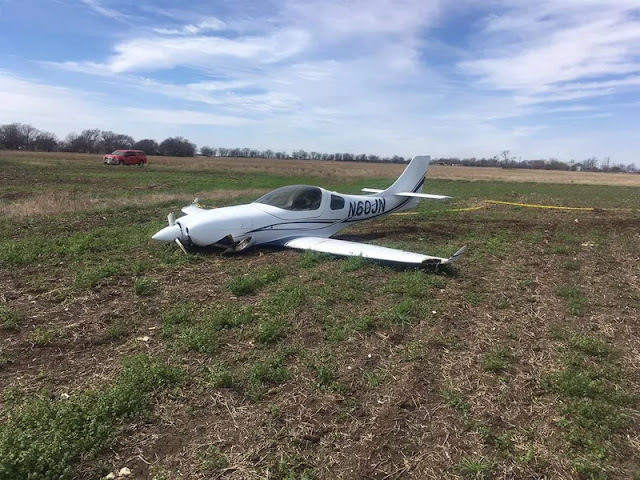 The pilot sustained minor injuries. His passenger was not injured. The airplane was destroyed. 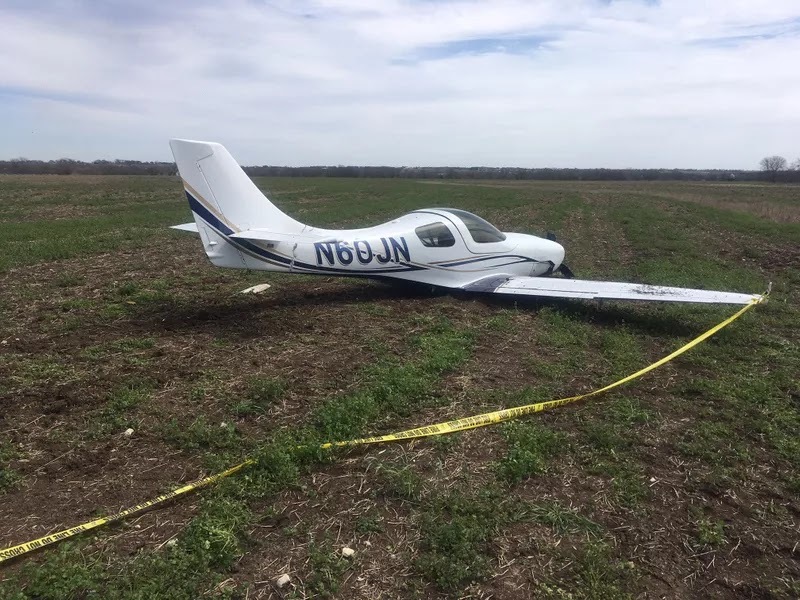 The airplane was registered to and operated by a, Airborne Legacy, LLC, Austin, Texas, under the provisions of Title 14 Code of Federal Regulations Part 91 as a personal flight. Visual meteorological conditions prevailed at and about the time of the accident. A visual flight rules (VFR) flight plan had been filed for the flight that originated at Austin-Bergstrom International Airport, Austin, Texas, and was destined for Dallas Love Field Airport (DAL), Dallas, Texas. In his accident report the pilot said that after levelling off at 9,500 feet, he switched from the right to the left fuel tank to maintain balance. He noticed a change in the sound of the engine and a decline in fuel flow (the airplane was not equipped with a fuel pressure gauge). He switched back to the right fuel tank and turned on the auxiliary fuel pump, but this did not correct the problem. During the approach to TPL, manifold pressure was registering but airspeed was decreasing. The pilot advanced the throttle slightly, then applied full throttle. The engine did not respond. Realizing he could not glide to TPL, the pilot made a forced landing in a plowed field. On April 4, 2018, the engine was examined at the facilities of Air Salvage of Dallas (ASOD), Lancaster, Texas. The engine was intact, undamaged, and remained attached to the airframe. No discrepancies were found that would have prohibited the production of rated horsepower. The fuel selector handle was separated just below the handle selector. The two "U" joints and the drive shaft were intact. The selector valve was found in the 90 percent closed position. The fuel selector assembly was extensively worn. Kathryn, thanks for the great example of the concern we were chatting about the other day. Switching tanks carries a small risk of failing the engine, so make sure you have an acceptable and realistically achievable landing site identified before you do it. I recall a night currency flight with my CFII over Pittsburgh at 2,000'agl on the way to KAGC and I switched the tanks in the PA28-161 and I caught hell. I should have waited a few more minutes until we were over KAGC just in case! That's crazy about the fuel selector failing in such a low time plane(370 TTAF). Now I'm afraid to even fool with the fuel selector valve. I bet a large number of power losses resulting in crashes are either due to fuel selector valves OR carb ice. Be safe up/out there. Accident/Incident-free pilot with many, many filled logbooks. Report states airplane was “destroyed”. Doesn’t look too bad sitting in that field, wonder what makes it destroyed ? ?